This is how I mounted an electric cooling fan (this one’s a Kenlowe) onto my 90’s radiator. 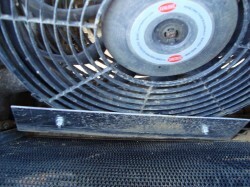 The mounts that come with the fan go through the core of the rad, and are held in quite low regard in that they have a reputation for vibrating a hole in the core. My mounting puts the fan about 1″ from the radiator surface. 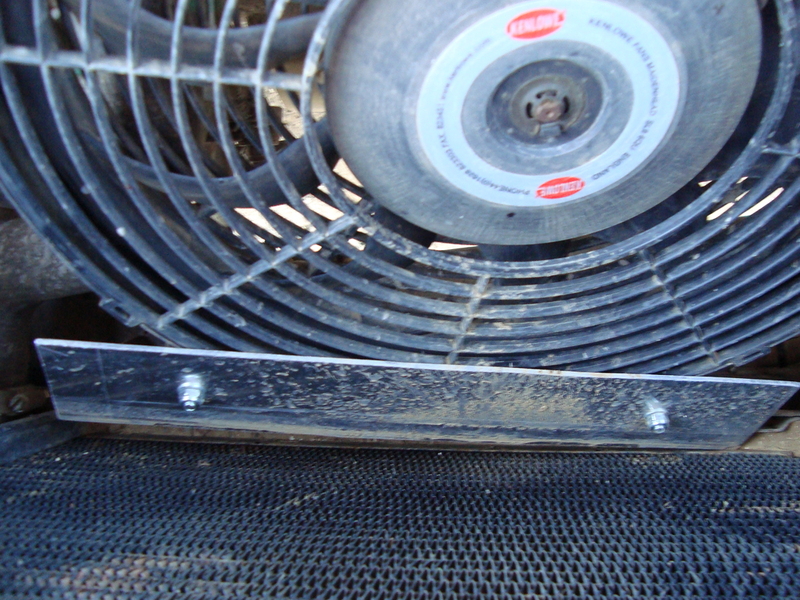 This provides ample space for ram airflow, and also allows all the mud/silt/twigs/small animals that can and will become lodged in the core to be washed through from the front without removing the fan. 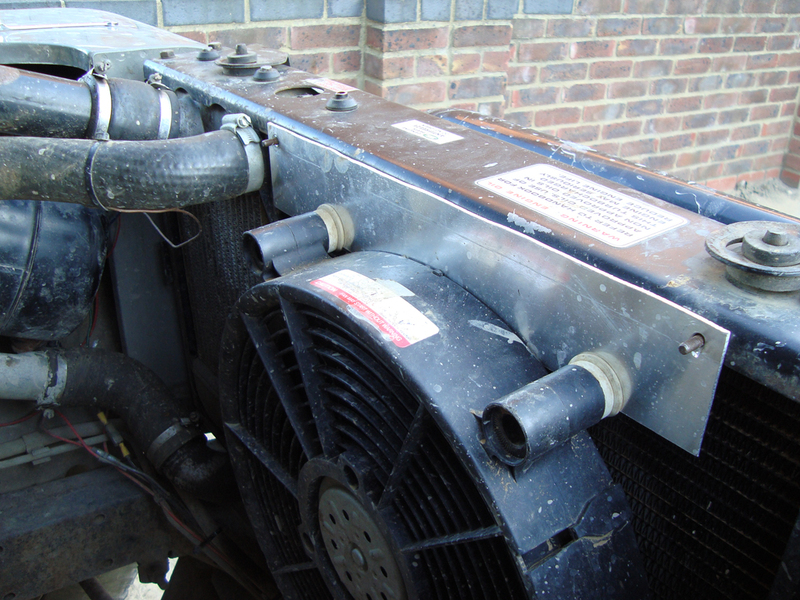 Critics may point out that airflow through the rad when the fan is assisting (e.g. 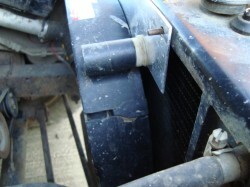 stationary or low-speed high workload situations) will be reduced due to air finding it’s way around the edge of the fan, however I have not noticed a drop in performance and indeed when the engine heats up due to lack of airflow I can see the temperature gauge drop within a few minutes of the fan coming on. 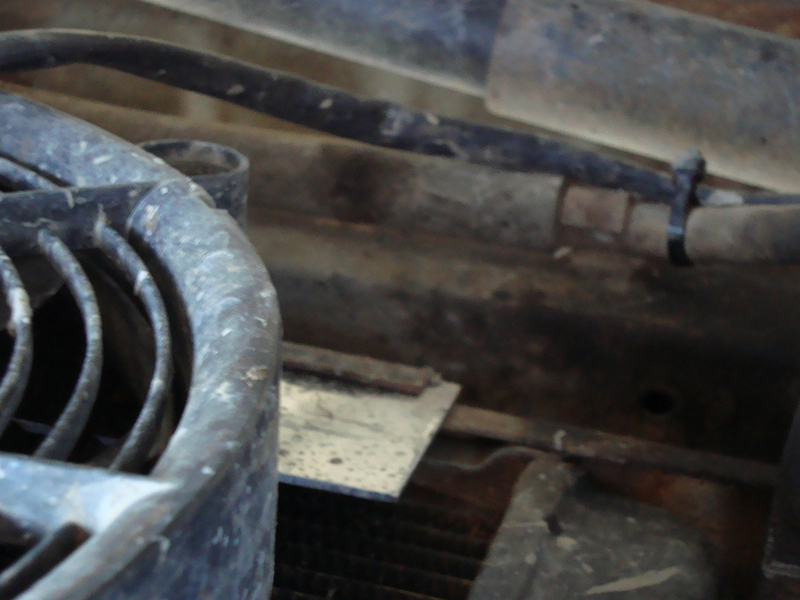 The mounting system consists of two pieces of aluminium, top and bottom, which engage with the standard fan cowling’s mounts. 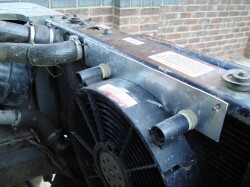 These are present on my 200Tdi, they may not be on other models so you’ll need to check for yourself. 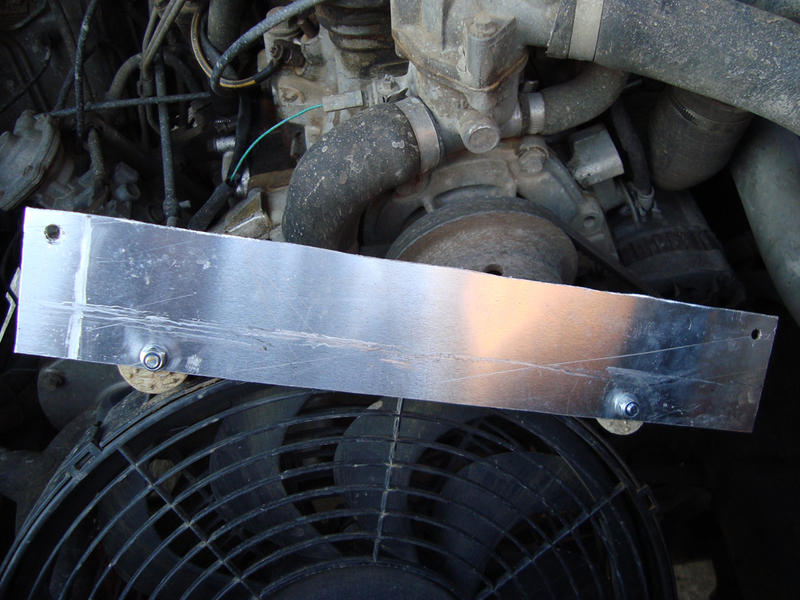 The fan attaches to these via the provided rubber buffers, which help to reduce undue vibration and noise. The bottom piece slots into the channels at the bottom of the radiator frame, and there are two holes in the top piece which go over the studs in the top of the frame, some nuts holding it on.